It is possible to live in a place of joy and peace when confronting physical handicaps, emotional upheaval and confusion in this world today. Yes, it is a daily fight, but through love,understanding and acknowledging the will of God, life can become one of surrender and ultimate harmony in our hearts. 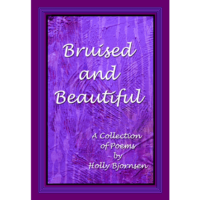 Holly Bjornsen, an author from Parker, Colorado, has attempted in Bruised and Beautiful to convey varying disabilities and the ways in which parents and children confront them and gain victory over them. Holly has watched Tom and Margie Schirmer’s love and support for their 16 year old autistic son, Danny, transform the reactions of adults and children toward him. 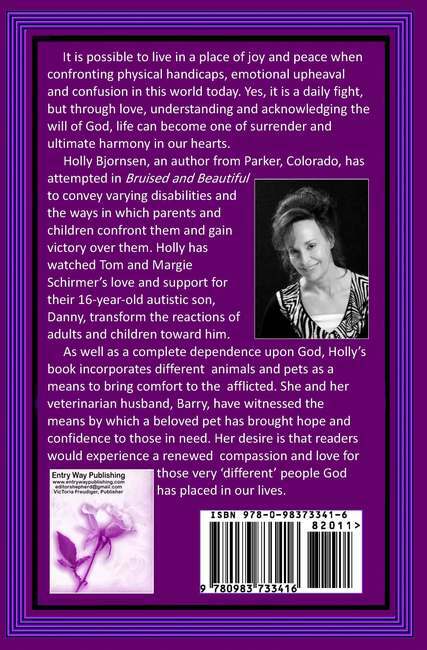 As well as a complete dependence upon God, Holly’s book incorporates different animals and pets as a means to bring comfort to the afflicted. She and her veterinarian husband, Barry, have witnessed the means by which a beloved pet has brought hope and confidence to those in need. Her desire is that readers would experience a renewed compassion and love for those ‘very different’ people God has placed in our lives. Only a few months after Holly Bjornsen received the printed versions of her two children’s books, she was praying and reflecting one night and was almost instantly inspired to write a book of poetry. This was a first-time undertaking for her; however, the words flew from her heart and mind onto paper. Holly was as shocked as anyone could have been. 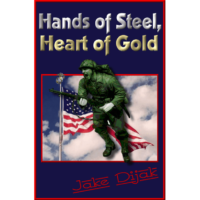 Not even accustomed to being called an author yet, she tenaciously took on the task of getting her third book published and printed. Entry Way Publishing was delighted to work with the graphic illustrations, which were incredibly created, and with ‘now – the poet’ just as determined to have a bestseller as Holly and Barry Bjornsen were. Barry is the graphic illustrator and photographer for most of the poetry. 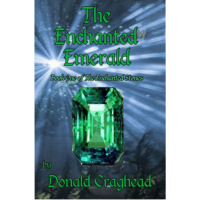 The end result is a book of poetry written for people on a worldwide spectrum who have suffered. 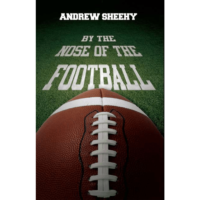 Poems in this book cover emotional, physical and spiritual maladies. 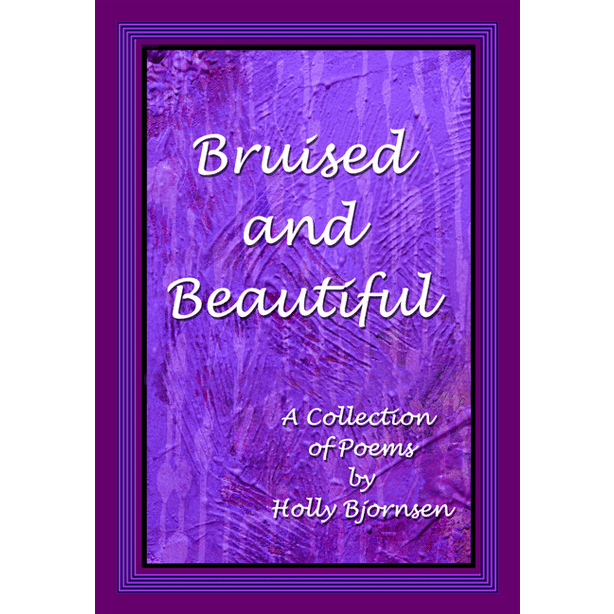 If your experiences have entailed pain and suffering, you will easily find a poem within these pages you can relate to at any hour of the day.